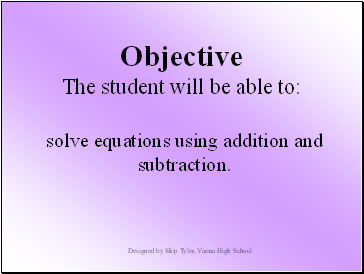 Think of this equation as a balance scale. 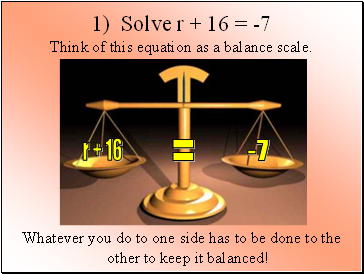 Whatever you do to one side has to be done to the other to keep it balanced! 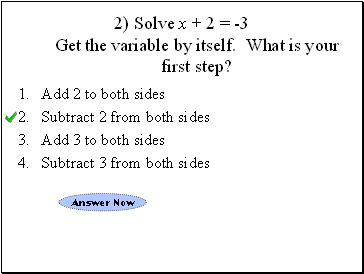 To solve, you must get the variable by itself. 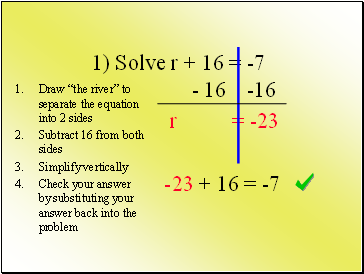 What number is on the same side as r? 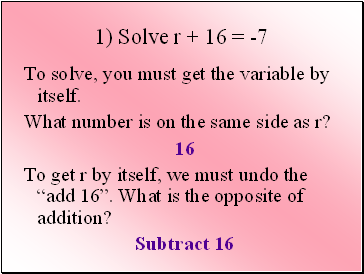 To get r by itself, we must undo the “add 16”. 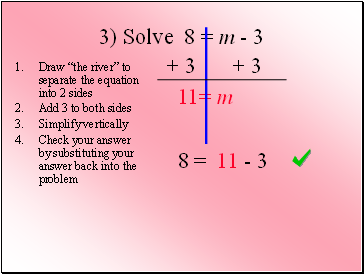 What is the opposite of addition? 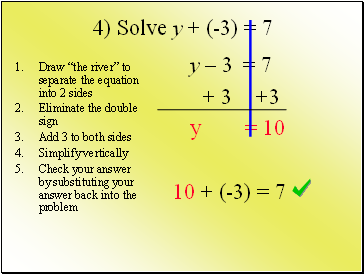 2) Solve x + 2 = -3 Get the variable by itself. What is your first step? 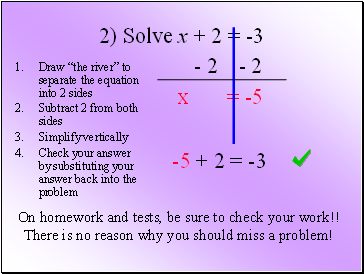 On homework and tests, be sure to check your work!! There is no reason why you should miss a problem! 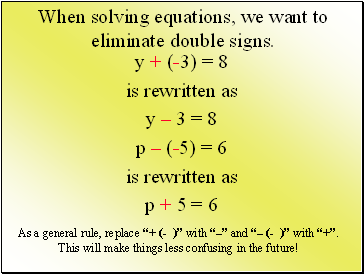 When solving equations, we want to eliminate double signs. 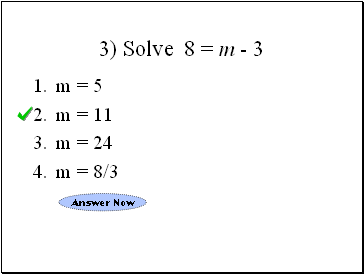 As a general rule, replace “+ (- )” with “–” and “– (- )” with “+”. This will make things less confusing in the future!